Stratford upon Avon Boat Club entered two Girls Junior 16 year old crews in The Schools’ Head of the River Race on 12th March. The prestigious annual event is run over the Oxford and Cambridge boat races course in reverse from Mortlake to Putney with the stream. This was the first experience of racing on the Tideway for both crews and it was particularly challenging for the coxswains steering the coxed four Mimi Hill and Talei Dunn steering the coxless quad from the bow seat. They both did a sterling job by staying in the stream and resisting challenges from other coxes trying to gain advantage by pushing them into slower water. 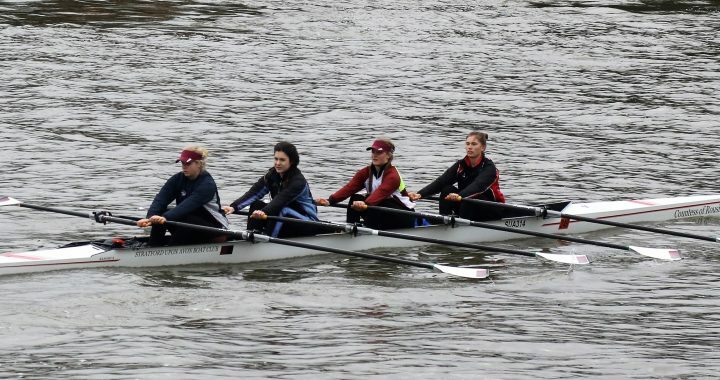 In the coxless quad regular J16 squad members Jess Weisheu, Autumn Keil and Talei Dunn were joined by J15 Alice Bains rowing up a year, who sculled with great skill and determination. The crew’s superb technique and powerful rhythm resulted in a highly creditable 7th place out of 18. 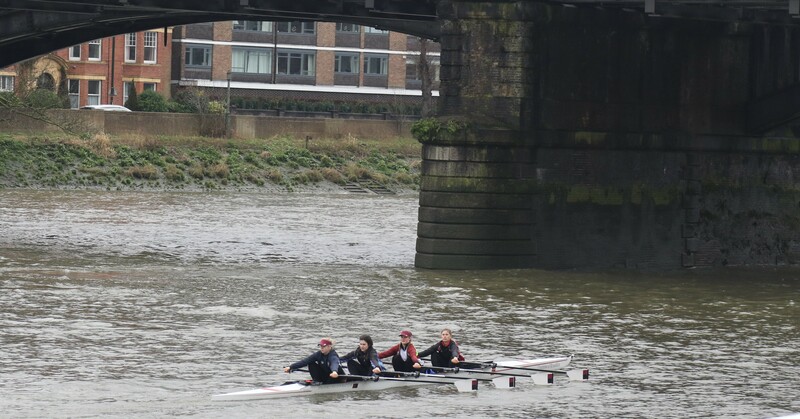 The coxed four of Katie Wellstead, Molly Gill-Swift, Khloe Curnock, Emily Browne and coxswain Mimi Hill got off to a flying start overtaking the crew in front by Barnes Bridge. They dug in for the long haul to Hammersmith Bridge holding off a challenge from Kingston and Emanuel. The girls held their composure in a superb display of sweep rowing to a strong finish as Kingston just edged past in the final 500 meters to take the win on time ahead of Emanuel in second and Stratford in third place. 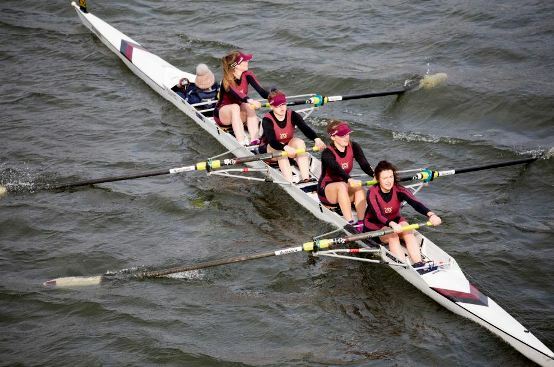 Stratford’s sister squad King Edward the Sixth Grammar School also took part with both girls’ and boys’ crews. 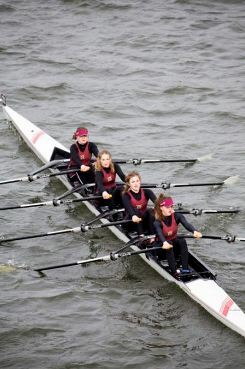 For media coverage, see Stratford Observer online at https://stratfordobserver.co.uk/sport/stratford-impress-at-schools-head-of-the-river-race and Stratford Herald online at http://www.stratford-herald.com/83849-hard-work-pays-off-stratfords-junior-crews.html and p15.